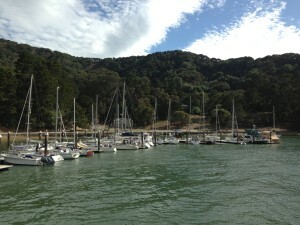 Paradise is waiting for you aboard Angel Island – Tiburon Ferry to Angel Island State Park. No time to getaway? No problem. Now you can getaway to the Bay Area’s own “paradise island” 7 days a week onboard Angel Island -Tiburon Ferry to Angel Island State Park via Tiburon, California. Click here for Angel Island -Tiburon Ferry’s ferry schedule. Angel Island – Tiburon Ferry offers multiple, daily non-stop ferries to Angel Island State Park 7 days a week out of Tiburon, California. Hiking – There are numerous hiking trails on Angel Island including one called the “Perimeter Road Hike” that leads around the coast of the island stopping at various historical structures offering rare glimpses into Angel Island State Park’s historic past. Another 2.5-hour hike leads hikers to the peak of Mt. Livermore. This high point of Angel Island State Park offers breathtaking views of the San Francisco Bay Area. 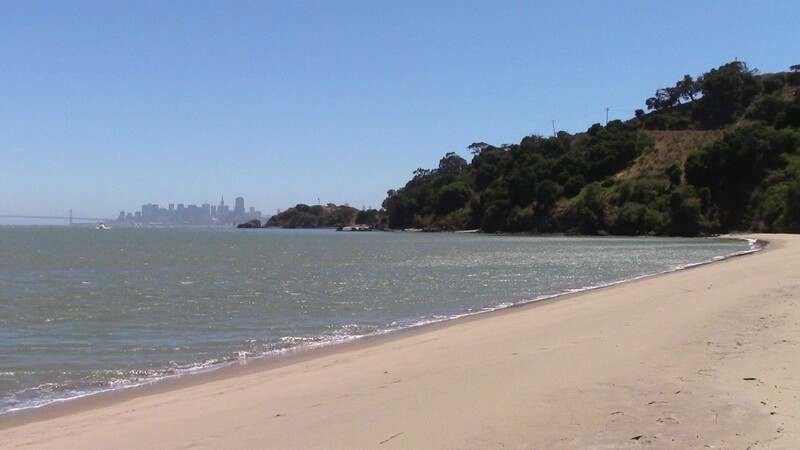 Beach activities: Angel Island State Park’s white, sandy beaches can be hiked to on the island, all with panoramic varying views of the San Francisco Peninsula, San Francisco skyline, Golden Gate Bridge, Marin County and the East Bay. 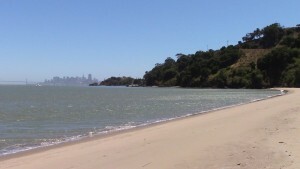 Angel Island is known by those that visit as “a little piece of paradise in the middle of San Francisco Bay.” Click here for more information on Angel Island State Park’s beaches. Picnicking: There are many picnic areas to explore, and charcoal BBQ’s are free to use in Ayala Cove and available on a first come, first serve basis (BYO charcoal and food supplies). Outdoor fun and recreation: Bicycles are allowed on Angel Island and can either be rented once on the island or can travel on Angel Island – Tiburon Ferry our of Tiburon, California for just $1.00. Visitors can also take a paid guided tour by tram; or rent a Segway scooter led by professional tour guides. For more information and directions to Angel Island -Tiburon Ferry’s Main Street Tiburon, California dock please visit AngelIslandFerry.com. angel isalnd ferry, Angel island, angel island beaches, Angel Island State Park, northern california beaches, paradise island, sf bay islands, sunset cruises, Tiburon, Tiburon Cruises, Tiburon Ferry, Tiburon Ferry Schedule.